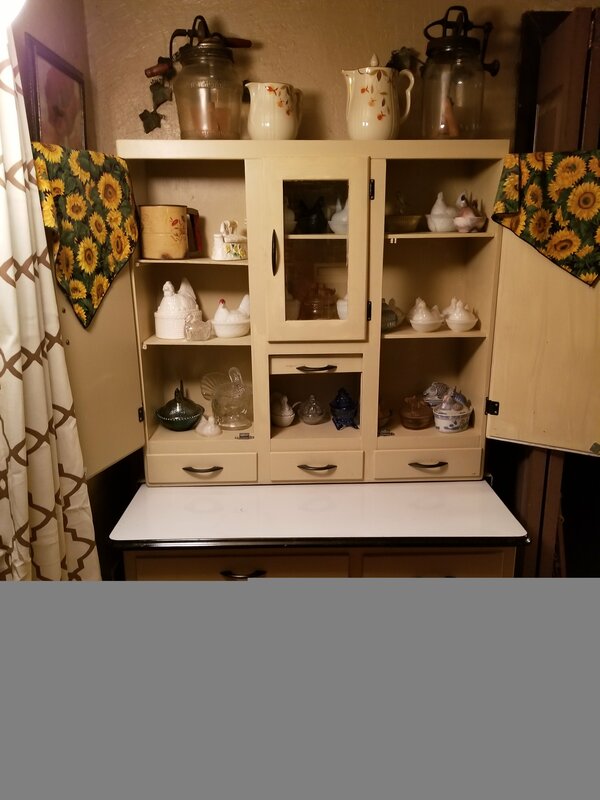 It has a number on the back Top that is 4058 white en, Black & Gold, the bottom cabinet says white en Black trim. It has two large doors with a flour ben/sifter in the top. 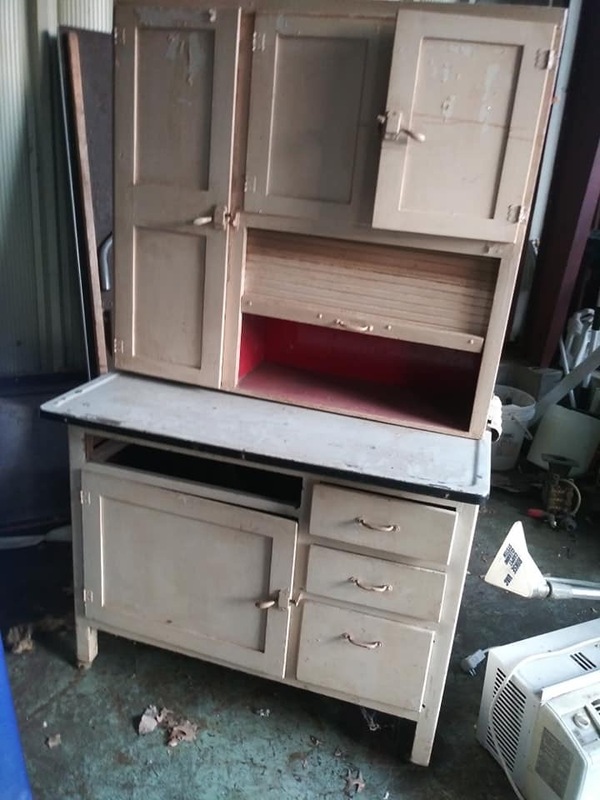 The bottom has four drawers , one of them is tin lined , there is also a cutting board and two doors. 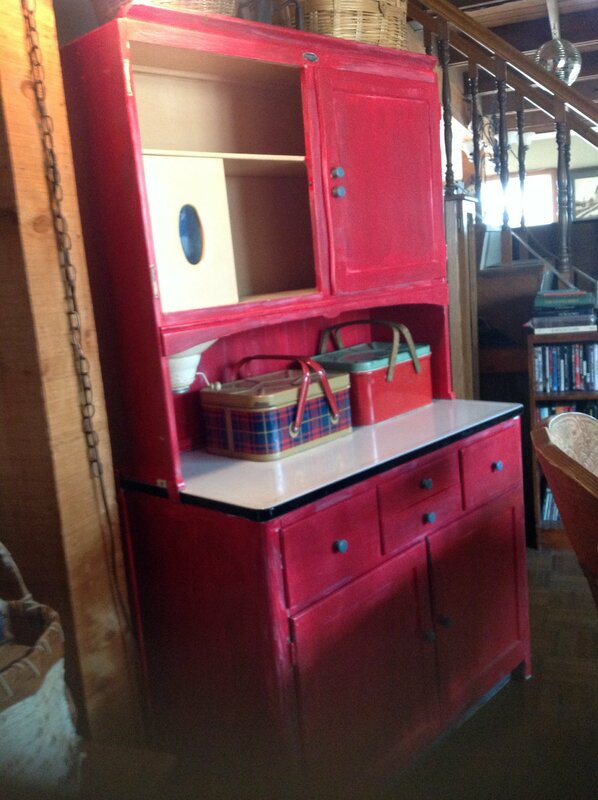 I fell in love with this cabinet the first time I saw it. I dont know much as to year or identity. It’s perfect for me to show off part of my covered animal dishes. 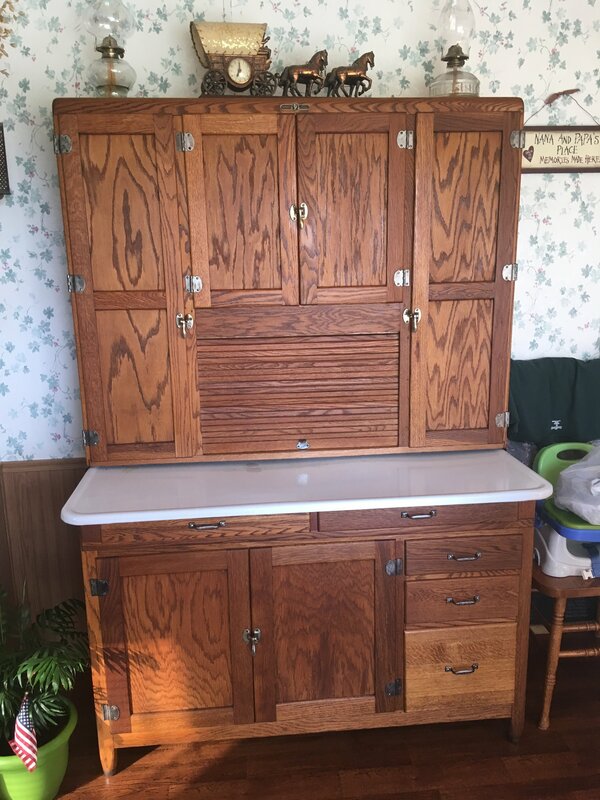 The drawer on the right is metal on the inside with a sliding top. For sugar or flour? 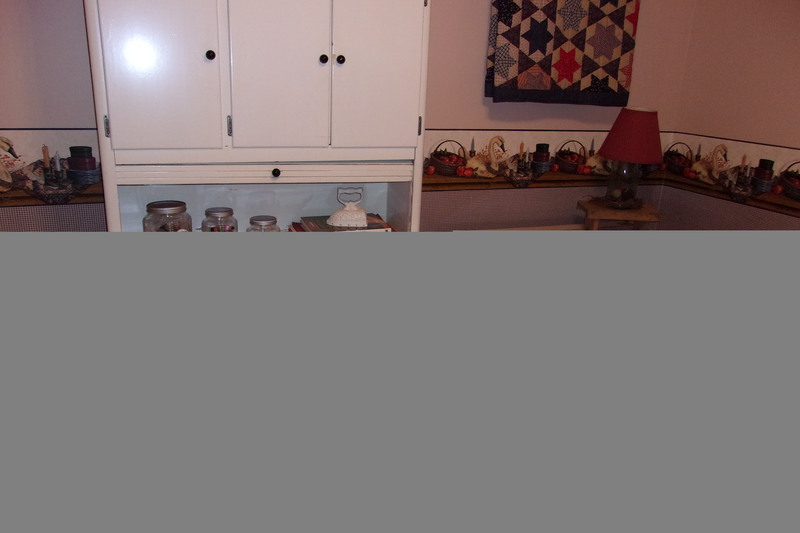 I got my Hoosier Cabinet a couple months ago, from a couple who were moving and downsizing. 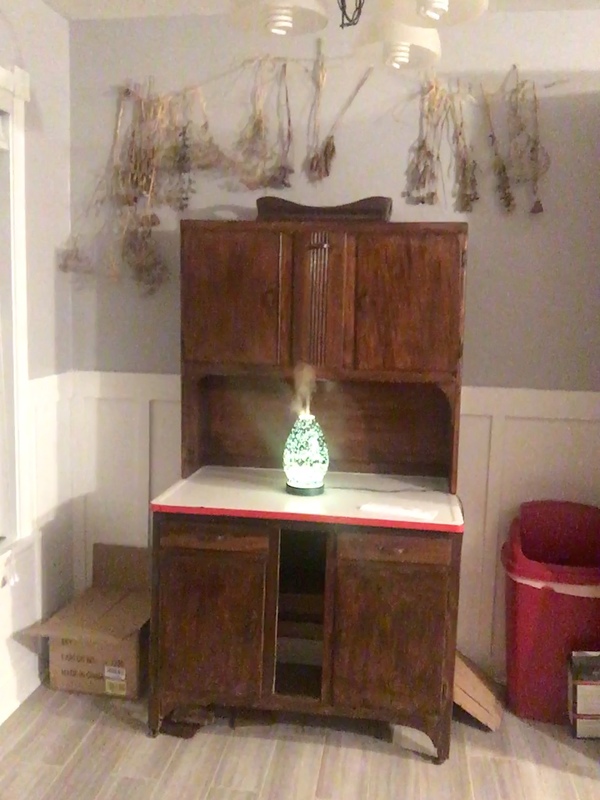 My husband and I have added the spice carousel. He has bought the parts to make the Tambour doors, which are missing. I can’t wait to decorate it for Christmas. 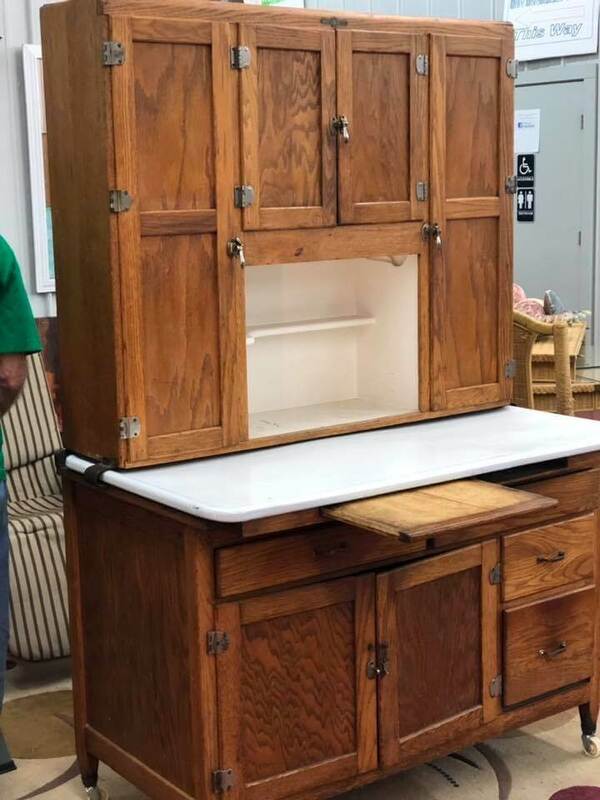 This Sellers Hoosier cabinet was owned by my paternal grandmother in the 1920’s in Oak Park, IL and was passed down to my parents in the 1970’s in Riverside, IL. 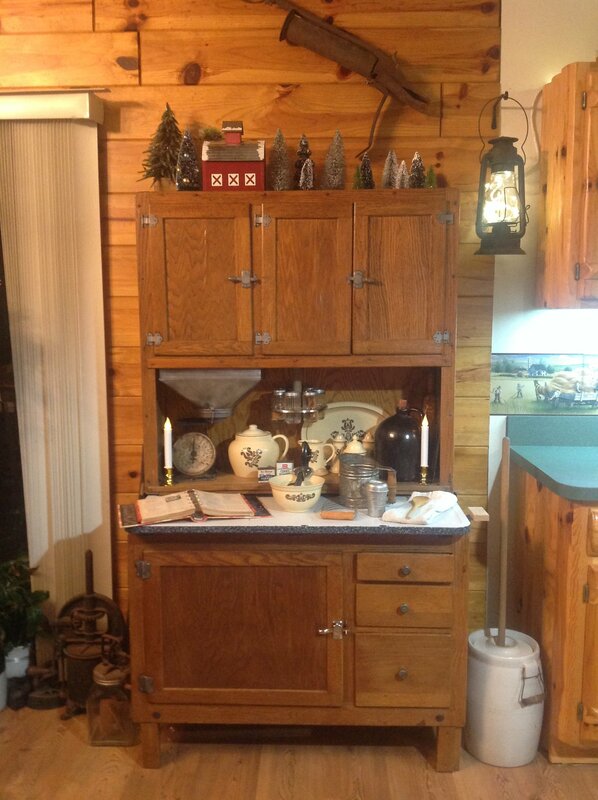 It has all original hardware, though no longer has the roll top or flour bin. 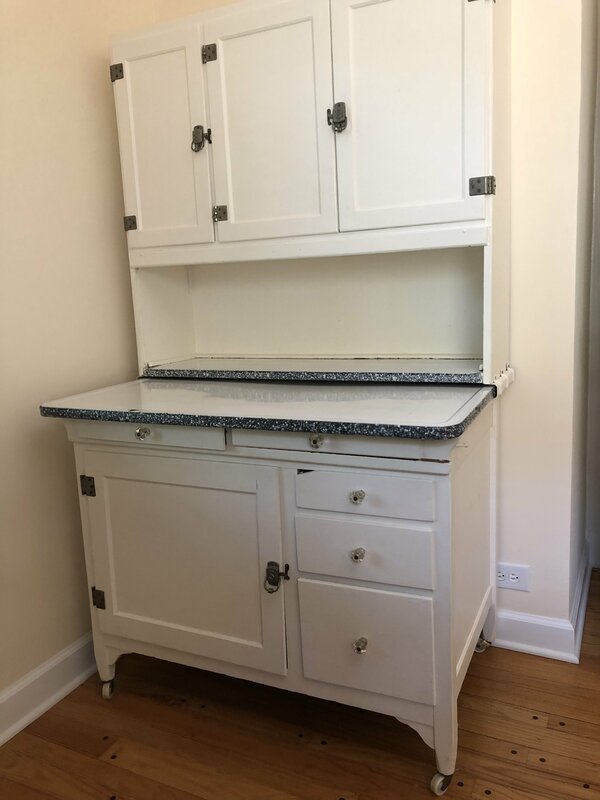 It had been painted various colors over the years, but was stripped and restored to white, which is the color I recall it being in my grandmother’s kitchen. I am currently looking for a historical site in which to donate this gem.